Press Release: New London Mayor Khan Means Radical New Momentum for Safer Cycling in London! New London Mayor Khan Means Radical New Momentum for Safer Cycling in London! Doubling of current TfL cycling budget of £82 million. Triple the number of protected cycle lanes. New cyclist representation on TfL Board. Mini-Holland programme to be extended to all Boroughs. Expansion of car-free areas across the city. Partial closure of Parliament Square to traffic. * Idaho Law allows cyclists to treat red traffic lights as a yield-right-of-way sign, with full right of way for pedestrians. The most important core demand was that 10% of the TfL budget must be allocated to cycling infrastructure by 2020. The current pathetic 1.7% of the budget being spent on cycling safety is an insult to the 12,000 Londoners dying every year from collisions, pollution and inactivity diseases. Khan promised us that he would increase resources spent on cycling significantly and told Chris Boardman in final stages of campaign that he would double current spending which is £82 million. This would mean Khan spending £164 million on safer cycling every year, which is a major step towards the £500 million Stop Killing Cyclists has called for to be spent every year by 2020. Oxford Street Closure to Vehicular Traffic: Khan supported this. Khan supported more junctions being refurbished to make them safer but did not commit to our full 500 target. End Lethal Driver Time Incentives Khan did not reply to this challenge. Vehicle Free Major London Squares / High Streets Khan supported making more of London car-free including Parliament Square. Cyclist Representation on TfL Board Khan supported having a cycling representative on the TfL Board. 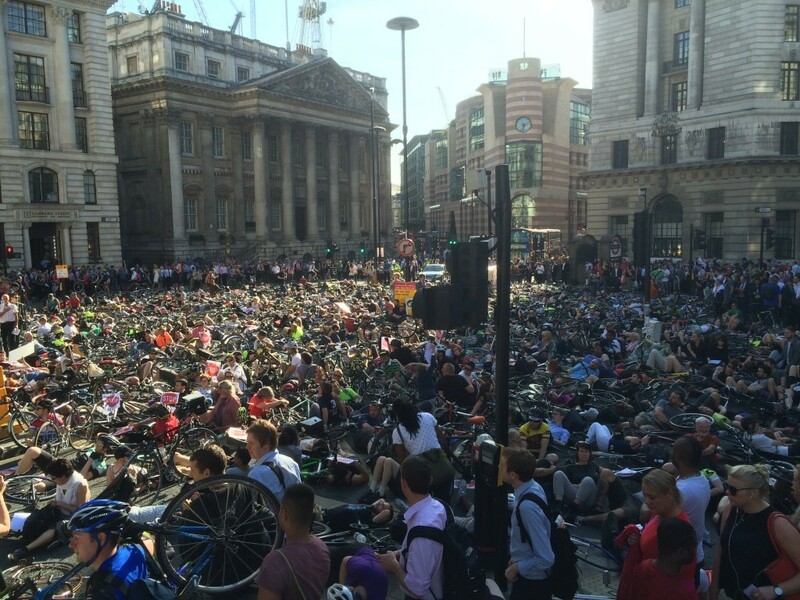 “It is clear that far too many cyclists are dying on London’s roads at present and that urgent action needs to be taken to make getting around our city safer for those on two wheels. Tackling this issue isn’t simply a matter of policy, it’s a matter of life and death and so I applaud the work being done by the campaigners behind this initiative. It is crucially important that we all, cyclists, campaigners and politicians alike, continue to raise the profile of this issue and work together to devise practical solutions to some of the dangers being posed to London’s cyclists. Along with tackling our city’s polluted air and encouraging more Londoners to take up cycling as a healthy alternative to driving, making the capital’s roads safer is one of my top priorities. To that end, I am happy to pledge a significant increase in investment for cycling infrastructure, as well as promise to look carefully at taking tipper trucks and HGV’s off London’s roads during rush hour. In order to keep large lorries off the roads during the day time, rules restricting deliveries at night may need to be relaxed so as Mayor I would enter into discussions with local authorities to identify where this might be possible. I will also examine the case for equipping all TfL vehicles with blind-spot safety equipment and support a Mini-Holland Programme for all London Boroughs within my first term. 1) 10% BY 2020 Will you commit to investing 10% of TfL budget (about £600 million in today’s terms) on cycling infrastructure by 2020, building up each year from current minuscule 1.4%? END HGV/BUS BLIND SPOT Will you require full blind-spot safety equipment (Left Hand Side CCTV and alarms) to be installed in all existing and new HGVs, buses, coaches and Tipper Trucks entering London? Seven out of the eight people killed on bicycles in 2015 in London, were killed by Tipper Trucks and HGVs. 9 out of 14 were killed in 2014. A positive first step in making these trucks safer is being introduced on September 1st, when all trucks entering London will have to have modern safety mirrors which reduce the size of the blind-spot. But this only takes us half-way. Trucks and buses should all have full complement of safety equipment, to reduce these awful cruel killings, whilst encouraging the speeding up the introduction of fully safety re-designed Tipper Trucks to reform the fleet. MINI-HOLLANDS FOR ALL Will you fund a Mini-Holland Programme for all London Boroughs within your first term? There is a Mini-Holland scheme running currently in only four Boroughs. Most Londoners do not realise that 94% of London’s roads are managed by the thirty-two London Boroughs. Only 3 boroughs installed any segregated cycle lanes since the last election. (Ealing (£400,000), Camden (£320,000), Waltham Forest (£400,000). borough per year since last election. The Dutch have adopted five principles of “sustainable safety” which are designed to prevent crashes, or at the very least, prevent serious injury in those that do occur. This proactive approach takes into account the physical vulnerability of pedestrians and cyclists, as well as the cognitive capabilities and limitations that so often contribute toward crashes (SWOV, 2012). While some principles are already incorporated into UK road design, such as the predictability of road design, other principles are not currently accommodated for. Thus, adopting these principles could be an important step in making cycling (and walking) safer and more appealing, thereby increasing their modal share. Table 1, reproduced from a SWOV factsheet, lists the five principles of “sustainable safety”; more information on the subject can be obtained by reading the relevant document in the reference list. 5) All London streets to be 20mph Will you support a 20mph speed limit across London (excluding motorways)? It should also work with the 32 Boroughs to introduce a consistent 20mph speed limit across London asap. Pedestrians and cyclists have a significantly higher chance of escaping being killed or seriously injured if hit by a vehicle travelling at 20mph rather than 30mph. The most recent analysis of the role of vehicle speed in pedestrian fatalities in Great Britain, found that 85% of pedestrians killed when struck by cars or car-derived vans, died in collision that occurred at impact speeds below 40mph, 45% at less than 30 mph and 5% at speeds below 20 mph. A review of accident data in seventy-two 20 mph zones found that average mean speeds were reduced by 9 mph, from 25 mph to 16 mph in the zones. On average, for every 1 mph speed reduction, there was a 6.2% accident reduction. The Idaho law would allow cyclists to turn left when traffic is free at junctions, with full legal priority for pedestrians. An emergency programme of installing safe protected left-hand turns is needed, at a minimum of the 500 junctions that were originally promised to be reviewed by Boris Johnson by the end of next mayor’s first term. 7. END LETHAL TIME PRESSURES ON BUSES/TIPPER TRUCKS Will you end the lethal paid-by-timed delivery regimes for HGVs in the construction industry and end dangerous system of paying for bus performance via contracted Excess Waiting Time Targets?” Contracts based on strict adherence to strictly-measured (usually time-based) performance regimes are common to the construction industry and TfL Bus Contracts. These contracts provide incentives for operators to deliver a specific number of loads or, in the case of TfL buses, maintain a predictable pattern of arrivals at bus stops within a certain time period. While this type of performance contracting is suitable for the rail industry (where the right-of-way is guaranteed, the transport path is generally unshared and outside interactions are both monitored and regulated) they are completely unsuitable for any commercial user that is compelled to share the road with others. TfL Bus Drivers have identified the Excess Time Indicator (EWT) Target as a particularly onerous contract term that places overwhelming pressure on Bus Drivers to take risks and divert driver attention to make “Headway” (i.e., to ensure the bus is evenly spaced between the bus before and after it so as to avoid heavy contract penalties). At present EWT Targets are the only bus-related Key Performance Indicator (KPI) reflected in both TfL Bus Contracts and the Performance-related bonuses paid annually to TfL Managers. That both TfL Subcontractors and TfL Managers should benefit from a Contract Performance Measure that TfL Bus Drivers have identified as danger-causing is not only a conflict of interest, but it calls into question the integrity of TfL’s approach to Bus Safety. Will you support a programme of making our beautiful major squares and shopping streets fit for humans, by closing them to motorised transport, including: Oxford Street, Trafalgar Square, Piccadilly, Parliament Square, Bank Junction, etc ? TWO TfL BOARD PLACES FOR CYCLISTS Will you appoint two cycling representatives to the TfL Board, nominated by cycling groups and change its name to the London Cycling, Walking and Transport Authority? 5 bankers/big business, 2 taxi reps, 2 aviation industry, 1 HGV, 3 Conservative Politicians, 1 trade unionist and 1 disabled person. We need cyclist board members in order to press for the ending of TfL’s disastrous policy of prioritising smooth flow and speed of traffic and instead adopt policy of placing safety of vulnerable road users – cyclists, pedestrians and children at the top of the Mayor’s transport hierarchy. There are two very good reasons for this, as well as some proven steps to prevent such interaction from occurring. The main concern is that the sharing of road space between HGVs, buses, and cyclists results in negative impacts upon both actual and perceived safety. The London rate of cycle deaths (2.2 deaths per 100 million km cycled) greatly exceeds that of the national rate in the Netherlands (1.1 deaths per 100 million km) or Germany (1.6 deaths per 100 million km) (Department of Transport UK, Buehler and Pucher, 2012). The use of side detection technologies (cameras, radar) in the blind spot of large vehicles must become compulsory. We need also to reduce unnecessary transport e.g. returning waste transport to barges. It is crucial to crack down on the shocking levels of trucks being driven illegally or in an illegally dangerous condition on London’s streets. A recent Metropolitan Police action found over 70% of trucks stopped to be breaking the safety laws. The estimated total figure is about 30%. This urgently needs to be prioritised with a target of 99% found to be compliant with existing safety laws. Sadiq Khan (Labour) It is clear that far too many cyclists are dying on London’s roads at present and that urgent action needs to be taken to make getting around our city safer for those on two wheels. Tackling this issue isn’t simply a matter of policy, it’s a matter of life and death and so I applaud the work being done by the campaigners behind this initiative. It is crucially important that we all, cyclists, campaigners and politicians alike, continue to raise the profile of this issue and work together to devise practical solutions to some of the dangers being posed to London’s cyclists. Along with tackling our city’s polluted air and encouraging more Londoners to take up cycling as a healthy alternative to driving, making the capital’s roads safer is one of my top priorities. I am committed to continuing the investment in the Cycle Superhighways programme and upgrading existing segregated cycle ways to a higher standard. I also want to roll out more 20mph zones in residential areas, having long campaigned for their introduction in my own constituency of Tooting. Moreover, I would be strongly in favour of adopting a variant of the Idaho Law and I have pledged to revise the list of junctions in need of immediate attention, prioritising improving those where the most deaths and accidents have occurred. Doing this is absolutely essential because Londoners must be able to move around their city with confidence and as safely and efficiently as possible. That is why I have also committed to pedestrianising Oxford Street and expanding the number of car-free areas across the city. I would also be happy to appoint a representative, nominated by cycling groups, to the board of TfL to ensure that the views and experiences of cyclists are heard at the highest levels within City Hall and acted upon. Furthermore, I will use planning laws to deliver more cycle storage provision in new office and housing developments and I will work with the boroughs to deliver more secure on-street cycle parking in residential areas. HORSEFERRY ROAD TO BE BLOCKED WITH TRANSPORT POLLUTION PROTESTERS, BIKES, TEDDY BEARS AND DOLLS WITH POLLUTION MASKS. Stop Killing Cyclists are staging a Pollution-masked protest and Die-In outside the Department for Transport’s HQ, protesting against the UK’s horrific pollution death toll of 40,000 people every year, the enormous £20 billion annual cost to NHS and the government actions worsening the crisis. 1/ Banning private cars when pollution levels exceed EU safety levels. 2/ Investment of £15 billion in national cycling and walking infrastructure, over next 5 years. 3/ Banning diesel vehicles from city centres within 5 years and all fossil fuel vehicles within 10 years. The protest welcomes pedestrians, parents, elderly, motorists, taxi/bus drivers, children, asthmatics etc., as pollution is poisoning all sections of society. He added: “It is totally unacceptable that millions of children are being raised by roads that are causing epidemic levels of asthma and stunting children’s lungs for life. We need an immediate massive programme of cycle-route building and the elimination of lethal fossil-fuel vehicles from our streets.” End. 1. 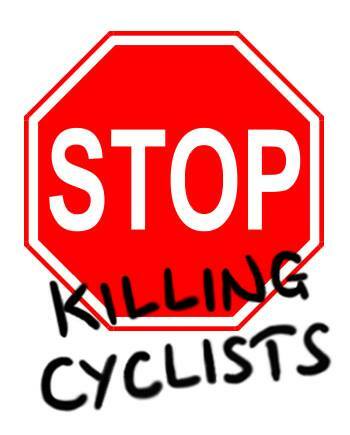 Stop Killing Cyclists is the grassroots campaign set up after horrific killing of 6 cyclists within a month in November 2013. 5pm: Starts with installation of Tombstone. Saxophone player plays pollution protest music. 5.30pm: Rally with speakers including mother with asthmatic child and Medical Professor from UCL. 6pm-6.15pm. Pollution masked protesters lie on the road with masked teddy-bears and dolls representing the kids suffering stunted lungs and asthma. * Invest 10% of TfL Budget by 2020 in safer cycling infrastructure and a similar investment in all major English cities. 3. Ban all diesel powered vehicles in city centres within 5 years. 21 Symbolic Coffins will be laid outside TfL HQ, to mark the 21 people killed whilst cycling in London, since six were tragically killed in just one month in November 2013. A Symbolic Tombstone marking the estimated 24,000 Londoners who have died from transport related transport pollution and inactivity diseases, over the two years will also be placed. Where: TfL HQ, Palestra Building, Blackfriars Rd. 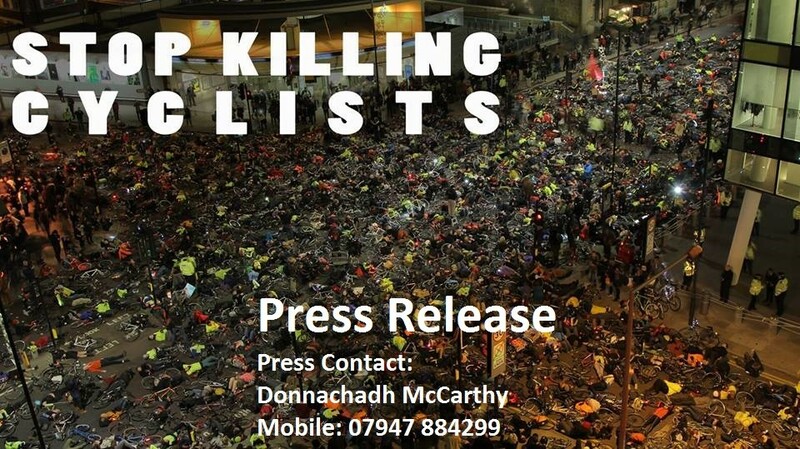 The vigil is calling on all the London Mayoral candidates to support the Stop Killing Cyclists “10% by 2020” London Mayoral Cycle Safety Challenge. Two candidates Sian Berry (Green Party) and Rosalind Readhead (Independent) supported 10% of TfL budget to be spent on cycling by 2010. Lib Dem Caroline Pidgeon promised at least 3% and more if cycling exceeded 3% of traffic. Neither Sadiq Khan (Labour) nor Zac Goldsmith (Tory) would make any specific financial commitment to cycling, although Khan promised a “significant” increase. 10% BY 2020 Will you commit to investing 10% of TfL budget on cycling infrastructure by 2020, building up each year from current minuscule 1.4%? PHYSICALLY PROTECTED CYCLE-LANES Will you support a comprehensive grid of Go-Dutch standard physically protected cycle-routes across the TfL road network to enable people of all ages and abilities to cycle safely? LONDON 20 MPH ZONE Will you support a 20mph speed limit across London (excluding motorways)? SQUARES AND STREETS FIT FOR HUMANS Will you support a programme of making our beautiful major squares and shopping streets fit for humans, by closing them to motorised transport, including: Oxford Street,Trafalgar Square,Piccadilly, Parliament Square, Bank Junction, etc ? The most important core demand is that 10% of the TfL budget must be allocated to cycling infrastructure by 2020. The current pathetic 1.4% of the budget being spent on cycling safety is an insult to the 12,000 Londoners dying every year from collisions, pollution and inactivity diseases. In response two candidates (Sian Berry – Green Party) and Rosalind Readhead – Independent) supported 10% of TfL budget to be spent on cycling by 2010. Lib Dem Caroline Pidgeon promised at least 3% and more if cycling exceeded 3% of traffic. Neither Sadiq Khan (Labour) nor Zac Goldsmith (Tory) would make any specific financial commitment to cycling, although Khan promised a “significant” increase. Oxford Street Closure to Vehicular Traffic: All five candidates supported this. 20 MPH Zones Across London Four candidates to varying degrees supported more 20 mph zones. Berry, Readhead and Pidgeon all supported pan-London 20mph. Three candidates (Pidgeon/Berry/Redhead) committed to making a minimum of 500 junctions safer for cyclists. End Lethal Driver Time Incentives Two candidates (Berry/Readhead) supported ending time incentives for bus and hgv drivers. Vehicle Free Major London Squares / High Streets All five candidates supported to varying degrees making more of London car-free. Note: Messages were sent to both Respect and UKIP but awaiting replies at this stage. Cons. Lab LibDem Green Indep. by 2020, building up each year from current minuscule 1.4%? and Tipper Trucks entering London? ages and abilities to cycle safely? promised to be reviewed by Boris Johnson? performance by contracted Excess Waiting Time Targets? Including: Trafalgar Square, Piccadilly, Parliament Square, Bank Junction, etc.? from HGVs parked in outer London? whilst related, did not quite fit the question asked. There is a mini-Holland scheme running currently in only four Boroughs. Most Londoners do not realise that 94% of London’s roads are managed by the thirty two London Boroughs. The use of side detection technologies (cameras, radar) in the blind spot of large vehicles must become compulsory. We need also to reduce unnecessary transport e.g. returning waste transport to barges. It is crucial to crack down on the shocking levels of trucks being driven illegally or in an illegally dangerous condition on London’s streets. A recent Metropolitan Police action found over 70% of trucks stopped to be breaking the safety laws. The estimated total figure is about 30%. This urgently needs to be prioritised with a target of 99% found to be compliant with existing safety laws. 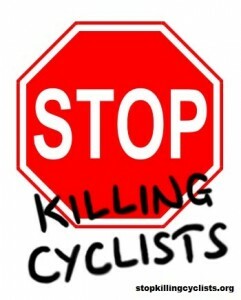 I’m very happy to support Stop Killing Cyclists. Their events and campaigning are a vital part of keeping cycling – particularly safety – high on the political agenda. I cycle to work myself, and know that there are many more journeys I would make by bike (notably from Hackney to Westminster for meetings) much more often if there were safe, segregated routes that were easy to navigate and didn’t mean risking being dumped onto a dangerous, unfamiliar junction if I lost my way. Making cycling an easier and safer way to travel would make our city better in so many ways: reducing traffic and congestion, cutting the pollution that causes nearly 10,000 early deaths every year, reducing noise, allowing more space to be given to pedestrians, play and life on the streets and helping citizens stay fit and healthy too. I welcome the 10 by 2020 Mayoral Safer Cycling Challenge, and my responses to the questions are below. I’m standing for Mayor and for the Assembly, and while the detail of London Green Party policy is decided collectively, as a transport campaigner in my current job I’d be a real champion for these issues as Mayoral candidate or as an Assembly Member if I were selected by the Greens. Shifting funds from the planned new motorway bridges and tunnels in East London. [http://bettertransport.org.uk/blog/roads/04062015-london-deserves-better] These should be replaced by new cycling, walking and public transport links across the river, which would cost much less, releasing funds for elsewhere in the cycling plan. Introducing a Workplace Parking Levy. Powers exist for this to be done at a GLA or local council level anywhere in the city. In my role as a Councillor in Camden, I’ve already put this proposal forward as a way of reducing traffic and raising money for transport plans. [https://camden.greenparty.org.uk/news/2014/12/16/161214-budget-ideas/] If done London-wide, any funds raised should be shared with the boroughs, but could add significantly to both TfL and local cycling investment. Replacing the creaking Congestion Charge, which first started 12 years ago, with something much more sophisticated, covering all of London not just a small central zone. A replacement scheme should start consultation as soon as the next mayor takes over, with a set of fair new charges based on three principles: how far you drive, how polluting your vehicle is, and the time of day. The law says additional funds should be spent on giving drivers better and cheaper alternatives, and cycling investment qualifies roundly for this. END HGV/BUS BLIND SPOT I completely agree with this. A heartbreaking number of deaths and injuries are being caused by the inability of drivers in large vehicles to see cyclists and pedestrians around them. All public vehicles should be replaced with low cab designs as quickly as possible, along with retrofitted safety measures on all vehicles entering the city. Conditions on safe construction vehicles should be put into all new planning agreements, and an ambitious scheme of incentives and regulations created for the freight industry, including freight consolidation and switching to smaller vehicles as well as new designs for HGVs. MINI-HOLLANDS FOR ALL I’ve seen enough ‘pilots’ of these kinds of measures over the years, and the value for money is unarguable, so yes this would be a big priority for me, particularly as car dependency in outer London has been neglected so much. Boroughs have a lot to gain from being involved, and many have shown an interest so there is no need to wait before rolling out Mini-Hollands everywhere. It’s important that evaluation and evidence from the initial schemes is collected and published in good time too. For example on the gains to local businesses from friendlier streets, as I know that many small businesses still believe they depend on drivers for their custom, and don’t appreciate how many more customers have the potential to reach them on foot and by bike. PHYSICALLY PROTECTED CYCLE-LANES This is a clear priority for me, and (along with Mini-Hollands) I’d put new segregated cycling infrastructure top of the list for new investment plans. For me it’s the number one measure that would get a wider range of people cycling, and get current cyclists using their bikes for more journeys. I’ve written here about how Transport for London’s traffic models overestimate the potential impact on car journey times and how these need to be changed to reflect the real impact of shifting road space to more efficient modes of travel. [http://londonist.com/2015/08/road-space] If New York can do it, we’re well overdue this kind of road space revolution in London! LONDON 20 MPH ZONE Absolutely! The exclusion of many red routes in boroughs that have brought in a 20mph speed limit feels completely wrong now that so many roads are calmer. I regularly cycle along and across Camden Road, for example, and the extra speed (and speeding) I encounter is a real shock after spending the rest of my journey on 20mph streets in Camden and Islington. In practice – on roads like this that pass through residential areas – the extra speed only serves to get vehicles more quickly to the next traffic light or crossing and is a needless danger. A comprehensive speed limit of 20 across London would help make the city consistent for drivers and foster a real sense of a city that was moving away from dominance by the car and giving priority to other ways of getting around. SAFER LEFT HAND TURNS: EMERGENCY PROGRAMME + IDAHO LAW These two measures I think are complementary – the Idaho law is essentially an emergency measure to make up for danger inherent in current junctions, and would need introducing with great care and lots of communication if we’re not to leave the impression that all London’s cyclists have started to defy traffic lights. Very strong messages would need to be sent out about the hierarchy and the need to give way to pedestrians too. The review of junctions to make them safe for all the people using them needs to be done urgently, and I’d make this an important priority for new investment funds if elected. END LETHAL TIME PRESSURES ON BUSES/TIPPER TRUCKS This is a very important root cause of a lot of poor driving and congratulations for highlighting and identifying it. Within the GLA, we can make sure that no contract we procure ever specifies this, and we can also work with boroughs and other public authorities to reduce the practice there too. The construction and freight industries needs to be engaged as well – on this and other issues in this plan – and forging an agreement to stop these contracts altogether would be something I’d aim to push through. See also my reply to question 10. SQUARES AND STREETS FIT FOR HUMANS This list is a bare minimum of the streets that could be closed to traffic in central London. I’ve written here about how there’s virtually a consensus among businesses and mayoral candidates that Oxford Street needs clearing of traffic altogether and how we can follow the lead of New York’s public space programme to seriously boost business as well as safety and pollution. [http://londonist.com/2015/08/road-space] As a councillor I’ve supported Camden Council’s plans for Tottenham Court Road [https://camden.greenparty.org.uk/news/2014/07/31/300714-west-end-project/], which cuts down on road capacity into the West End (which should help with making more schemes possible there) while helping buses and cyclists and pedestrians in another key shopping area. We shouldn’t ignore outer London in this, and within the Mini-Holland programme we can be more ambitious about closing roads and creating new public spaces there too. TWO TfL BOARD PLACES FOR CYCLISTS The board of TfL needs a proper shake-up, and representatives of many more groups added, while business representatives need to be reduced. I would definitely support two places for cycling representatives – one for inner and one for outer London would be my preference – as well as unions, public health specialists and the full range of pedestrians. I am not sure about the new name proposed above – as a transport campaigner for many years I’ve always considered ‘transport’ to include walking and cycling and have campaigned on both of these under that heading, as well as for local communities affected by the impact of roads and other transport while not going anywhere. TIPPER TRUCK BAN Tipper trucks and other construction lorries desperately need keeping off the streets at the busiest times and I am strongly in favour of a simple ban on these, as well as strong conditions added to future planning agreements, which are fully justified and don’t risk any kind of challenge. For other large vehicles, freight, shop deliveries and vans, London needs a real plan, and we must work with the freight industry to do this as they are not against avoiding rush hour (this after all is the time they have the least reliable deliveries and most delays) and don’t see it as a simple cost to them. However, there are complications due to the delivery time restrictions built into literally thousands of planning agreements for shops and businesses, and a clear need to engage with local residents if vehicles are to arrive earlier in the morning. The need for a comprehensive plan that also involves switching to smaller vehicles – including bikes – and co-operation and consolidation to avoid empty loads, is absolutely vital to solving this problem once and for all. As Mayor, I would build on the current Mayor’s emphasis on cycling. London’s population is likely to hit 10m within 15 years. If many of those new people choose to drive cars, our city will grind to a standstill, our air will be more polluted and people will less healthy. I know from packed public meetings and surveys in my constituency as a London MP that safety is the number one barrier for cyclists. Alongside expanding our public transport system, I would do everything necessary to make cycling a safer and easier choice. Above all that involves improving technology for HGVs, which cause a disproportionate number of deaths; improving the most dangerous junctions; and providing safe cycle ways wherever possible and practical. On improving technology for HGVs, TFL has made a good start with the new Safer Lorry Scheme, with Class V and VI mirrors (which eliminate some blind spots) now compulsory for all lorries in Greater London. I’m told TfL are planning to consult in January on further measures, such as requiring all lorries to retrofit windows on their cab doors to eliminate another blind spot. In the longer term, new lorries should have lower wheelbases and full-length glass doors – like dustcarts do now. TFL is also trialling CCTV and alarm systems – which have great promise. However there are concerns that, once fitted, drivers may have an unrealistic sense of security and actually cause more accidents. So I will await the trial results but, if they are successful, I would require them to be fitted to lorries. I support restrictions on the use of HGVs during rush hour, but I need to be confident that the consequent concentration of HGVs after 9:30am wouldn’t create additional risks. I support the idea of consolidated “last-mile” delivery services with electric vehicles. In addition to action on lorries, we need to ensure cycle lanes are as safe as possible against all forms of traffic. I want to see more segregated cycle highways on TfL roads, and will work with willing Boroughs to ensure they are in the right place. I support the “Mini Holland” scheme – I campaigned for the one in Kingston – and would like to see more. About 25% of all the roads in London currently have 20MPH. I will support local boroughs who choose to limit speeds and will look at the TfL Road Network to see where further 20 mph limits could be possible on red routes – balancing the need to keep traffic moving across the wider road network. I’m interested in the idea of allowing cyclists to turn left when traffic is free at junctions. This seems to work well in New York, for example, and is worth exploring. I will push for greater pedestrianisation of major squares and shopping streets, in particular Oxford Street. But clearly whatever changes are brought in need to take account of local businesses and the bus network. Finally, you ask two questions about cycling’s overall budget and whether I could nominate 2 board TfL members for cycling. On board members, I have looked at this. I’m told the board’s rules on interests mean that anyone nominated on behalf of a particular interest group can’t speak in favour of that interest. So, for example, the two cab representatives cannot take any part in a discussion on taxi policy. However, one way or another, I will ensure cyclists voices are heard. You also asked for a commitment that 10% of all TfL funding should go to cycling by 2020. As long as we have large infrastructure projects like Crossrail, the cycling budget will always be a smaller percentage for obvious reasons. In addition, unlike other forms of transport, cycling incurs very little operational expenditure, which is one of the many reasons it needs to be promoted. We need to invest properly in cycling, but the 10% commitment is not, in my view, realistic. If I am selected as the Conservative Mayoral candidate, I will provide a full manifesto and I look forward to engaging fully with the cycling community when writing this. Caroline Pidgeon (Liberal Democrat): Thank for your questions from Stop Killing Cyclists. I have set out my views on each point below. I have explained my views at some length on the points as I cannot fully support each of your requests at this stage. As each issue is so significant I do hope you can also clarify how replies from Mayoral candidates will be published. As you state no word limit I hope you will be able to publish my full response. 10% BY 2020 As Chair of the London Assembly’s Transport Committee I was proud to publish the report Gearing Up in 2012, which highlighted that TfL’s expenditure on cycling was a pitiful 1 per cent of its budget, despite cycling being 2 per cent of journeys in London. It was an important achievement by the London Assembly and London’s cyclists to get the Mayor and TfL to quickly sign up to this commitment although it is obviously a disgrace that for the last few years TfL continues to underspend the budget allocated to cycling. This is an issue I have continually raised and challenged the Mayor over. If the Mayor and TfL had actually implemented this recommendation over the last two years London would now have safer cycling infrastructure in many more places. I support TfL spending immediately 2 per cent of its budget on cycling – with literally every penny being spent and also being spent well. (We should never forget that some cycling expenditure has actually been poorly spent, such as the initial Cycle Superhighway 2). I believe in the principle that the overall cycling budget should also reflect the growth in cycle journeys. At this stage I would commit to the cycling budget increasing to at least 3 per cent of TfL’s budget by 2020 as I would hope that by 2020 at least 3 per cent of journeys were by bike. If cycling journeys increase at a faster rate I would of course revise the budget up further. Finally, I would add the importance of TfL’s cycling investment being supported by other sources of income, including from London Boroughs, major employers in London (especially in relation to bike parking) and also from section 106 development deals for new buildings. END HGV/BUS BLIND SPOT I support all these safety measures and others being adopted, such as the Confidential Safety Reporting system being extended to cover all these vehicles. MINI-HOLLANDS FOR ALL I certainly want to see real action on cycling taken in every borough, however the needs of each London Borough does vary and this should be recognised. I also believe London Boroughs should be incentivised to take action. One of the beneficial effects of the mini-Holland programme being limited in its first stage to three boroughs was that London Boroughs had to prepare and raise their game over their cycling plans to receive TfL funding. Whilst I do support the mini Holland programme being rolled out to all Boroughs, key to its success is that it must deliver the best possible cycling infrastructure. PHYSICALLY PROTECTED CYCLE-LANES Yes, this is absolutely essential. LONDON 20 MPH ZONE I support the greater adoption of 20 mph speed limits and I believe it should be the default speed limit in all London Boroughs. I am proud that Liberal Democrats have campaigned on this issue in so many London Boroughs over a number of years. I also support the full enforcement of the speed limit by the police. However, the adoption of default 20 mph speed limits across a whole London Borough is an issue (other than on TfL roads) that ultimately can only be decided by the London Boroughs. SAFER LEFT HAND TURNS: EMERGENCY PROGRAMME + IDAHO LAW For this to happen it would need agreement by Government. I would be willing to permit a trial allowing cyclists to turn left when traffic is free at junctions, however I am reluctant to advocate its comprehensive adoption until I receive clear evidence that pedestrians and especially vulnerable pedestrians (children and blind and partially sighted people) would not be adversely affected. In relation to the provision of safe left-hand turns I certainly support a far higher adoption and adoption at 500 junctions would seem appropriate. END LETHAL TIME PRESSURES ON BUSES/TIPPER TRUCKS I would above all else like to see fewer HGVs on London’s roads, especially by making far greater use of the Thames. I would push for as many developments as possible to have tighter conditions to ensure the river is used more and vehicle movements are minimised. I also believe we could reduce the number of HGVs on our roads during the day by relaxing the night time restrictions on lorries in some parts of London. A relaxation occurred during the 2012 Games and seemed to work reasonably well. In relation to all contracts that the Mayor can influence through contractual means I believe the highest standards must be set in terms of both the design of the vehicles and the behaviour of drivers. In relation to bus performance targets set for bus companies I would be reluctant to remove all performance targets, but it is obviously vital that they do not have adverse effects on drivers’ behaviour. I support a full investigation into this issue to ensure robust policies are in place. In the meantime I welcome the recent publication of bus collision data. I have supported the adoption of the Confidential Safety Reporting system for London’s bus fleet for some time, which thankfully is now taking place. SQUARES AND STREETS FIT FOR HUMANS Since the 2004 Mayor and London Assembly elections the Liberal Democrats have supported the full pedestrianisation of Oxford Street and last year my colleague published a further report setting out how this could be achieved. Further information can be seen at this website. Following the 2008 Mayor and London Assembly elections Boris Johnson made the foolish decision to cancel the existing TfL programmed scheme to partially pedestrianise Parliament Square. I would support this policy now being implemented. I would also support a series of Summer Streets traffic free days all over the capital so that people can take ownership of their streets and look to pedestrianise more streets across the capital where appropriate. This could include more streets in Soho for example. TWO TfL BOARD PLACES FOR CYCLISTS While I can understand the attraction of having two specific cycling representatives on TfL’s Board I believe the policy could potentially be counterproductive. Cycling issues must be seen as a significant issue by every TfL Board member. The policy could even lead to cycling issues being marginalised. I think many in the taxi and private hire industries believe this has been the case with their appointments who have not been able to speak in public on their issues! Overall I believe the TfL Board needs a big shake up. Its composition is quite frankly very male and pale. A lot of fresh new members are needed. I would also advocate every TfL Board member having to undertake, before their adoption, a formal comprehensive induction programme to ensure a full understanding of the needs of the widest range of road users, including cyclists. An understanding of the needs of vulnerable groups, such as children and disabled people with mobility needs should also be part of their induction. I also believe the whole TfL Board should operate in a far more transparent manner. For example I believe full transcripts (as opposed to sanitised minutes) should be available for all their meetings. In relation to the name of Transport for London I see no need for a change. I would like to see the needs of a whole range of people, such as disabled people and children, given a far higher priority; however adopting all these groups, as well as cyclists and pedestrians into the title of the organisation would make it rather unwieldy! TIPPER TRUCK BAN I support a trial of all HGVs being prohibited from central London at rush hour. It is vital to ensure that the policy actually works and does not just redistribute collisions during the day. More widely I would like to see a reduction in HGVs on London’s roads through greater use being made of the Thames, especially by the construction industry. I also believe some relaxation of the night time ban on lorries could help reduce the number of HGVs on London’s roads during the day. I believe cargo bikes have an important role in all parts of London and I would promote their greater use. And finally In addition to answering the above questions I would like to stress my support for the following policies which I believe will make London safer for cycling. • I strongly support a pedestrian and cycling bridge linking Rotherhithe to Canary Wharf as proposed by Sustrans. A safe crossing for cyclists is desperately needed. Consideration should also be given for a further pedestrian and cycle bridge further down the Thames towards the Greenwich peninsular. • I do not support the Silvertown road tunnel. I believe that the current Mayor’s proposals for road bridges and tunnels in east London will actually generate more traffic, creating harmful air pollution, more road collisions and deter many people from cycling. The funds proposed for road bridges must be allocated to public transport based river crossings and pedestrian and cycle bridges. • I believe workplace parking charges should be introduced for all major employers in central London. Such a levy would provide a useful source of funding for TfL, but most importantly discourage many motorists from regularly driving into central London every day. It’s great that you have laid down these challenges. Good to debate a much needed revolution in transport on the streets of London. I support all these challenges and more. I believe that it will not only need to be financial but political as well. The Mayor will need to use powers to take over non TFL roads unless there is a sea change in the way boroughs are interacting with TFL, demanding other changes in exchange for protected lanes. Negotiations are far too slow for the urgent needs of Londoners to cut pollution, road casualties, inactivity, obesity and congestion. I also believe that whole Active Travel Corridors, whole roads free of motorised vehicles will be required for the numbers of cyclists who will want to take to the roads, to be inclusive of larger bikes like tricycles and cargo bikes and the need for overtaking safely. Levels of 40% cycling will be attained rapidly if diesel and other highly polluting private cars are banned across London. Of course I want to see all private cars banned from zones 1&2 and motorised traffic free roads where there are high levels of pedestrians, for example Camden High Street. This will require some re routing of current bus routes. But I feel it is imperative to prioritise Active travel i.e. walking and cycling and then buses and sharing taxis. Commercial motorised vehicles must be cleaned up, rationalised and fit in with the new layout. And I fully support incentives for cargo bikes. Khan and Goldsmith must do better to win pedestrian and cyclists vote and tackle London’s shocking 12,000 transport related death rate. Green Party’s Sian Berry and Independent Rosalind Readhead back 10% Budget for Cycling by 2020. All 4 Selected Major Party London Mayoral Candidates Reply to Stop Killing Cyclists “10 by 2020” London Mayoral Cycle Safety Challenge. “The 2016 Mayoral election provides an urgent opportunity to speed up the pace of transforming London into a safer, healthier and more beautiful city, fit for humans aged from 5 to 105 to cycle, walk and do business in safety. We welcome the fact that all five candidates replied to our 10 by 2020 Challenge and all agree on many radical new crucial safer cycling measures. However, Labour’s Sadiq Khan and the Tories Zac Goldsmith need to firm up their commitments to a safer London, currently too many of their promises are riddled with get-out clauses. In response two candidates (Sian Berry – Green Party) and Rosalind Readhead – Independent) supported 10% of TfL budget to be spent on cycling by 2010. Lib Dem Caroline Pidgeon promised at least 3% and more if cycling exceeded 3% of traffic. Neither Sadiq Khan (Labour) nor Zac Goldsmith (Tory) would make any specific financial commitment to cycling, although Khan promised a “significant” increase. All five candidates supported this. All five candidates agreed to consider this. All five candidates indicated support for more Mini-Hollands in the 32 London Boroughs, in addition to the four existing Mini-Holland boroughs. Four candidates to varying degrees supported more 20 mph zones. Berry, Readhead and Pidgeon all supported pan-London 20mph. Two candidates (Berry/Readhead) supported ending time incentives for bus and hgv drivers. All five candidates supported to varying degrees making more of London car-free. All five candidates agreed to varying degrees to support such a ban. Will you commit to investing 10% of TfL budget (about £600 million in today’s terms) on cycling infrastructure by 2020, building up each year from current minuscule 1.4%? A review of accident data in seventy-two 20 mph zones found that average mean speeds were reduced by 9 mph, from 25 mph to 16 mph in the zones. On average, for every 1 mph speed reduction, there was a 6.2% accident reduction. Will you support the introduction of the Idaho law, allowing cyclists to turn left when traffic is free at junctions, with full legal priority for pedestrians and support an emergency programme of installing safe protected left-hand turns, improving at a minimum the 500 most dangerous junctions, that were originally promised to be reviewed by Boris Johnson by the end of your first term? seriously injured about every month-and-a-half. Investment is a really important measure to put at the top of the list. Providing ten per cent of the current budget would be a real challenge – as Mayor I’d be responsible for making sure bus and tube services didn’t suffer as a result – but I think that putting ten per cent of the capital budget into cycle infrastructure would be an ambitious and realistic plan if additional funds could be pulled in from elsewhere. Shifting funds from the planned new motorway bridges and tunnels in East London. [http://bettertransport.org.uk/blog/roads/04062015-london-deserves-better] These should be replaced by new cycling, walking and public transport links across the river, which would cost much less, releasing funds for elsewhere in the cycling plan. Introducing a Workplace Parking Levy. Powers exist for this to be done at a GLA or local council level anywhere in the city. In my role as a Councillor in Camden, I’ve already put this proposal forward as a way of reducing traffic and raising money for transport plans. [https://camden.greenparty.org.uk/news/2014/12/16/161214-budget-ideas/] If done London-wide, any funds raised should be shared with the boroughs, but could add significantly to both TfL and local cycling investment. I completely agree with this. A heartbreaking number of deaths and injuries are being caused by the inability of drivers in large vehicles to see cyclists and pedestrians around them. All public vehicles should be replaced with low cab designs as quickly as possible, along with retrofitted safety measures on all vehicles entering the city. Conditions on safe construction vehicles should be put into all new planning agreements, and an ambitious scheme of incentives and regulations created for the freight industry, including freight consolidation and switching to smaller vehicles as well as new designs for HGVs. I’ve seen enough ‘pilots’ of these kinds of measures over the years, and the value for money is unarguable, so yes this would be a big priority for me, particularly as car dependency in outer London has been neglected so much. Boroughs have a lot to gain from being involved, and many have shown an interest so there is no need to wait before rolling out Mini-Hollands everywhere. It’s important that evaluation and evidence from the initial schemes is collected and published in good time too. For example on the gains to local businesses from friendlier streets, as I know that many small businesses still believe they depend on drivers for their custom, and don’t appreciate how many more customers have the potential to reach them on foot and by bike. This is a clear priority for me, and (along with Mini-Hollands) I’d put new segregated cycling infrastructure top of the list for new investment plans. For me it’s the number one measure that would get a wider range of people cycling, and get current cyclists using their bikes for more journeys. I’ve written here about how Transport for London’s traffic models overestimate the potential impact on car journey times and how these need to be changed to reflect the real impact of shifting road space to more efficient modes of travel. [http://londonist.com/2015/08/road-space] If New York can do it, we’re well overdue this kind of road space revolution in London! Absolutely! The exclusion of many red routes in boroughs that have brought in a 20mph speed limit feels completely wrong now that so many roads are calmer. I regularly cycle along and across Camden Road, for example, and the extra speed (and speeding) I encounter is a real shock after spending the rest of my journey on 20mph streets in Camden and Islington. In practice – on roads like this that pass through residential areas – the extra speed only serves to get vehicles more quickly to the next traffic light or crossing and is a needless danger. A comprehensive speed limit of 20 across London would help make the city consistent for drivers and foster a real sense of a city that was moving away from dominance by the car and giving priority to other ways of getting around. These two measures I think are complementary – the Idaho law is essentially an emergency measure to make up for danger inherent in current junctions, and would need introducing with great care and lots of communication if we’re not to leave the impression that all London’s cyclists have started to defy traffic lights. Very strong messages would need to be sent out about the hierarchy and the need to give way to pedestrians too. The review of junctions to make them safe for all the people using them needs to be done urgently, and I’d make this an important priority for new investment funds if elected. This is a very important root cause of a lot of poor driving and congratulations for highlighting and identifying it. Within the GLA, we can make sure that no contract we procure ever specifies this, and we can also work with boroughs and other public authorities to reduce the practice there too. The construction and freight industries needs to be engaged as well – on this and other issues in this plan – and forging an agreement to stop these contracts altogether would be something I’d aim to push through. See also my reply to question 10. As a councillor I’ve supported Camden Council’s plans for Tottenham Court Road [https://camden.greenparty.org.uk/news/2014/07/31/300714-west-end-project/], which cuts down on road capacity into the West End (which should help with making more schemes possible there) while helping buses and cyclists and pedestrians in another key shopping area. We shouldn’t ignore outer London in this, and within the Mini-Holland programme we can be more ambitious about closing roads and creating new public spaces there too. The board of TfL needs a proper shake-up, and representatives of many more groups added, while business representatives need to be reduced. I would definitely support two places for cycling representatives – one for inner and one for outer London would be my preference – as well as unions, public health specialists and the full range of pedestrians. I am not sure about the new name proposed above – as a transport campaigner for many years I’ve always considered ‘transport’ to include walking and cycling and have campaigned on both of these under that heading, as well as for local communities affected by the impact of roads and other transport while not going anywhere. Tipper trucks and other construction lorries desperately need keeping off the streets at the busiest times and I am strongly in favour of a simple ban on these, as well as strong conditions added to future planning agreements, which are fully justified and don’t risk any kind of challenge. For other large vehicles, freight, shop deliveries and vans, London needs a real plan, and we must work with the freight industry to do this as they are not against avoiding rush hour (this after all is the time they have the least reliable deliveries and most delays) and don’t see it as a simple cost to them. However, there are complications due to the delivery time restrictions built into literally thousands of planning agreements for shops and businesses, and a clear need to engage with local residents if vehicles are to arrive earlier in the morning. The need for a comprehensive plan that also involves switching to smaller vehicles – including bikes – and co-operation and consolidation to avoid empty loads, is absolutely vital to solving this problem once and for all. As Mayor, I would build on the current Mayor’s emphasis on cycling. London’s population is likely to hit 10m within 15 years. If many of those new people choose to drive cars, our city will grind to a standstill, our air will be more polluted and people will less healthy. I know from packed public meetings and surveys in my constituency as a London MP that safety is the number one barrier for cyclists. Alongside expanding our public transport system, I would do everything necessary to make cycling a safer and easier choice. Above all that involves improving technology for HGVs, which cause a disproportionate number of deaths; improving the most dangerous junctions; and providing safe cycle ways wherever possible and practical. On improving technology for HGVs, TFL has made a good start with the new Safer Lorry Scheme, with Class V and VI mirrors (which eliminate some blind spots) now compulsory for all lorries in Greater London. I’m told TfL are planning to consult in January on further measures, such as requiring all lorries to retrofit windows on their cab doors to eliminate another blind spot. In the longer term, new lorries should have lower wheelbases and full-length glass doors – like dustcarts do now. TFL is also trialling CCTV and alarm systems – which have great promise. However there are concerns that, once fitted, drivers may have an unrealistic sense of security and actually cause more accidents. So I will await the trial results but, if they are successful, I would require them to be fitted to lorries. I support restrictions on the use of HGVs during rush hour, but I need to be confident that the consequent concentration of HGVs after 9:30am wouldn’t create additional risks. I support the idea of consolidated “last-mile” delivery services with electric vehicles. In addition to action on lorries, we need to ensure cycle lanes are as safe as possible against all forms of traffic. I want to see more segregated cycle highways on TfL roads, and will work with willing Boroughs to ensure they are in the right place. I support the “Mini Holland” scheme – I campaigned for the one in Kingston – and would like to see more. About 25% of all the roads in London currently have 20MPH. I will support local boroughs who choose to limit speeds and will look at the TfL Road Network to see where further 20 mph limits could be possible on red routes – balancing the need to keep traffic moving across the wider road network. I’m interested in the idea of allowing cyclists to turn left when traffic is free at junctions. This seems to work well in New York, for example, and is worth exploring. I will push for greater pedestrianisation of major squares and shopping streets, in particular Oxford Street. But clearly whatever changes are brought in need to take account of local businesses and the bus network. Finally, you ask two questions about cycling’s overall budget and whether I could nominate 2 board TfL members for cycling. You also asked for a commitment that 10% of all TfL funding should go to cycling by 2020. As long as we have large infrastructure projects like Crossrail, the cycling budget will always be a smaller percentage for obvious reasons. In addition, unlike other forms of transport, cycling incurs very little operational expenditure, which is one of the many reasons it needs to be promoted. We need to invest properly in cycling, but the 10% commitment is not, in my view, realistic. If I am selected as the Conservative Mayoral candidate, I will provide a full manifesto and I look forward to engaging fully with the cycling community when writing this. It is clear that far too many cyclists are dying on London’s roads at present and that urgent action needs to be taken to make getting around our city safer for those on two wheels. Tackling this issue isn’t simply a matter of policy, it’s a matter of life and death and so I applaud the work being done by the campaigners behind this initiative. It is crucially important that we all, cyclists, campaigners and politicians alike, continue to raise the profile of this issue and work together to devise practical solutions to some of the dangers being posed to London’s cyclists. Along with tackling our city’s polluted air and encouraging more Londoners to take up cycling as a healthy alternative to driving, making the capital’s roads safer is one of my top priorities. Thank for your questions from Stop Killing Cyclists. I have set out my views on each point below. I have explained my views at some length on the points as I cannot fully support each of your requests at this stage. As each issue is so significant I do hope you can also clarify how replies from Mayoral candidates will be published. As you state no word limit I hope you will be able to publish my full response. As Chair of the London Assembly’s Transport Committee I was proud to publish the report Gearing Up in 2012, which highlighted that TfL’s expenditure on cycling was a pitiful 1 per cent of its budget, despite cycling being 2 per cent of journeys in London. It was an important achievement by the London Assembly and London’s cyclists to get the Mayor and TfL to quickly sign up to this commitment although it is obviously a disgrace that for the last few years TfL continues to underspend the budget allocated to cycling. This is an issue I have continually raised and challenged the Mayor over. If the Mayor and TfL had actually implemented this recommendation over the last two years London would now have safer cycling infrastructure in many more places. I support TfL spending immediately 2 per cent of its budget on cycling – with literally every penny being spent and also being spent well. (We should never forget that some cycling expenditure has actually been poorly spent, such as the initial Cycle Superhighway 2). I believe in the principle that the overall cycling budget should also reflect the growth in cycle journeys. At this stage I would commit to the cycling budget increasing to at least 3 per cent of TfL’s budget by 2020 as I would hope that by 2020 at least 3 per cent of journeys were by bike. If cycling journeys increase at a faster rate I would of course revise the budget up further. Finally, I would add the importance of TfL’s cycling investment being supported by other sources of income, including from London Boroughs, major employers in London (especially in relation to bike parking) and also from section 106 development deals for new buildings. I support all these safety measures and others being adopted, such as the Confidential Safety Reporting system being extended to cover all these vehicles. I certainly want to see real action on cycling taken in every borough, however the needs of each London Borough does vary and this should be recognised. I also believe London Boroughs should be incentivised to take action. One of the beneficial effects of the mini-Holland programme being limited in its first stage to three boroughs was that London Boroughs had to prepare and raise their game over their cycling plans to receive TfL funding. Whilst I do support the mini Holland programme being rolled out to all Boroughs, key to its success is that it must deliver the best possible cycling infrastructure. Yes, this is absolutely essential. I support the greater adoption of 20 mph speed limits and I believe it should be the default speed limit in all London Boroughs. I am proud that Liberal Democrats have campaigned on this issue in so many London Boroughs over a number of years. I also support the full enforcement of the speed limit by the police. However, the adoption of default 20 mph speed limits across a whole London Borough is an issue (other than on TfL roads) that ultimately can only be decided by the London Boroughs. For this to happen it would need agreement by Government. I would be willing to permit a trial allowing cyclists to turn left when traffic is free at junctions, however I am reluctant to advocate its comprehensive adoption until I receive clear evidence that pedestrians and especially vulnerable pedestrians (children and blind and partially sighted people) would not be adversely affected. In relation to the provision of safe left-hand turns I certainly support a far higher adoption and adoption at 500 junctions would seem appropriate. I would above all else like to see fewer HGVs on London’s roads, especially by making far greater use of the Thames. I would push for as many developments as possible to have tighter conditions to ensure the river is used more and vehicle movements are minimised. I also believe we could reduce the number of HGVs on our roads during the day by relaxing the night time restrictions on lorries in some parts of London. A relaxation occurred during the 2012 Games and seemed to work reasonably well. In relation to all contracts that the Mayor can influence through contractual means I believe the highest standards must be set in terms of both the design of the vehicles and the behaviour of drivers. In relation to bus performance targets set for bus companies I would be reluctant to remove all performance targets, but it is obviously vital that they do not have adverse effects on drivers’ behaviour. I support a full investigation into this issue to ensure robust policies are in place. In the meantime I welcome the recent publication of bus collision data. I have supported the adoption of the Confidential Safety Reporting system for London’s bus fleet for some time, which thankfully is now taking place. Since the 2004 Mayor and London Assembly elections the Liberal Democrats have supported the full pedestrianisation of Oxford Street and last year my colleague published a further report setting out how this could be achieved. Further information can be seen at this website. Following the 2008 Mayor and London Assembly elections Boris Johnson made the foolish decision to cancel the existing TfL programmed scheme to partially pedestrianise Parliament Square. I would support this policy now being implemented. I would also support a series of Summer Streets traffic free days all over the capital so that people can take ownership of their streets and look to pedestrianise more streets across the capital where appropriate. This could include more streets in Soho for example. While I can understand the attraction of having two specific cycling representatives on TfL’s Board I believe the policy could potentially be counterproductive. Cycling issues must be seen as a significant issue by every TfL Board member. The policy could even lead to cycling issues being marginalised. I think many in the taxi and private hire industries believe this has been the case with their appointments who have not been able to speak in public on their issues! Overall I believe the TfL Board needs a big shake up. Its composition is quite frankly very male and pale. A lot of fresh new members are needed. I would also advocate every TfL Board member having to undertake, before their adoption, a formal comprehensive induction programme to ensure a full understanding of the needs of the widest range of road users, including cyclists. An understanding of the needs of vulnerable groups, such as children and disabled people with mobility needs should also be part of their induction. I also believe the whole TfL Board should operate in a far more transparent manner. For example I believe full transcripts (as opposed to sanitised minutes) should be available for all their meetings. In relation to the name of Transport for London I see no need for a change. I would like to see the needs of a whole range of people, such as disabled people and children, given a far higher priority; however adopting all these groups, as well as cyclists and pedestrians into the title of the organisation would make it rather unwieldy! I support a trial of all HGVs being prohibited from central London at rush hour. It is vital to ensure that the policy actually works and does not just redistribute collisions during the day. More widely I would like to see a reduction in HGVs on London’s roads through greater use being made of the Thames, especially by the construction industry. I also believe some relaxation of the night time ban on lorries could help reduce the number of HGVs on London’s roads during the day. I believe cargo bikes have an important role in all parts of London and I would promote their greater use. In addition to answering the above questions I would like to stress my support for the following policies which I believe will make London safer for cycling. • I strongly support a pedestrian and cycling bridge linking Rotherhithe to Canary Wharf as proposed by Sustrans. A safe crossing for cyclists is desperately needed. Consideration should also be given for a further pedestrian and cycle bridge further down the Thames towards the Greenwich peninsular. • I do not support the Silvertown road tunnel. I believe that the current Mayor’s proposals for road bridges and tunnels in east London will actually generate more traffic, creating harmful air pollution, more road collisions and deter many people from cycling. The funds proposed for road bridges must be allocated to public transport based river crossings and pedestrian and cycle bridges. • I believe workplace parking charges should be introduced for all major employers in central London. Such a levy would provide a useful source of funding for TfL, but most importantly discourage many motorists from regularly driving into central London every day. For further information about my views on cycling please see an article I recently provided to the London Cycling Campaign. I support a ban on private cars in Central London and a ULEZ for licensing system for commercial vehicles. I believe a ban is better for social cohesion, congestion charging has already created a system where statistically it is the wealthy that can afford to drive a private car in Central London, and an additional charge will exacerbate this. I would not feel comfortable with just the very wealthy driving and parking around Central London. If you would like any more information, or details please let me know. I’m happy to be challenged! Stop Killing Cyclists have today issued their “10 by 2020” London Mayoral Cycle Safety Challenge to all mayoral candidates and political parties. The 2016 Mayoral election provides an urgent opportunity to speed up the pace of transforming London into a safer, healthier and more beautiful city, fit for humans aged from 5 to 105 to cycle, walk and do business in safely. Any mayoral candidate serious about tackling the shocking scandal of over 12,000 transport related deaths each year and the hundreds of thousands of Londoners living with terrible transport related diseases will back our “10 for 2020” Cycling Safety Challenge. At the core of our ten mayoral cycling safety challenges is our demand that 10% of the TfL budget must be allocated to cycling infrastructure by 2020. The current pathetic 1.4% of the budget being spent on cycling safety is an insult to those dying every day from collisions, pollution and inactivity diseases. The 10 Challenges, along with background details of each, are listed on full at our STOP THE KILLING website – StopTheKilling.org.uk/10by2020. 10. TIPPER TRUCK BAN: Will you ban tipper trucks at rush hour and introduce a scheme whereby electric delivery trucks to bring in goods from HGVs parked in outer London, into central London and promote cargo bikes for last mile deliveries? 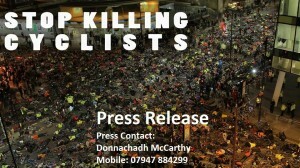 A new, 15-minute documentary called ‘A Cycling Revolution‘ highlights the campaigning done by members of Stop Killing Cyclists and includes a segment shot at the recent National Funeral protest along Oxford Street. Student filmmakers from the University of Westminster embarked on a journey to discover from campaigners, people on the street, and politicians like the Mayor of London and his cycling commissioner, what is being done to reduce road danger. Their visit to Amsterdam is not to be missed – the reaction by locals to pictures of cycling in London is priceless! Where: Southern Roundabout Plaza, Elephant & Castle, London. Bring: White and Green Chalk. To mark yet another unnecessary cycling tragedy at the Elephant & Castle and to protest at the continued total failure by Southwark Council and TfL to install emergency protected by-passes at dangerous junctions across London such as the Elephant, we will draw in Green and White Chalk the protected cycle-lane that Southwark and TfL should be installing immediately. We will also stage a die-in with our bodies and bikes along the route of the urgently necessary cycle-lane. “Stop Killing Cyclists are so frustrated at the lack of action, that we will ourselves on Wednesday draw in green and white chalk the route of a protected junction cycle by-pass that Southwark and TfL lethally left out of the recent multi-million refurbishment of the southern Elephant junction. 2. The London Boroughs including Southwark are responsible for 95% of London’s roads, whereas the London Mayor and TfL control the remaining 5% i.e. the very large arterial routes. 3. Southwark Council has not installed a single meter of segregated cycle-lane in the 3 years since their Head of Planning, Simon Bevan announced a policy of using cyclists to slow the traffic.